After a century of confrontations between the two little towns, Quiebralomo Real de Minas and La Montaña, the two Catholic priests threatened the inhabitants with eternal damnation if they continued at war. That is why the two towns decided to share their territory and they founded Riosucio in 1847. Since then they honour the devil, the guardian of peace, who always will remind them the promise they made to the two priests. 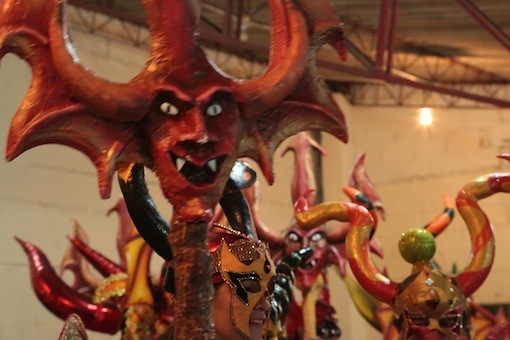 Every two years, from Jan 4-9, the “Carnaval del Diablo” takes place in Riosucio. 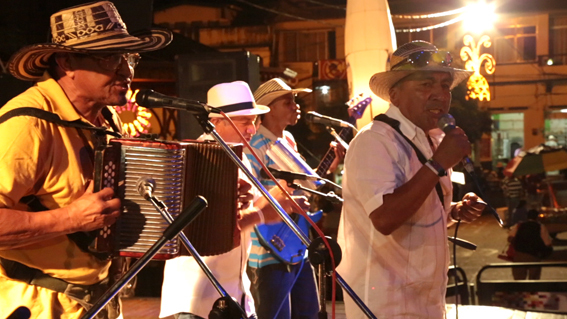 We went to the carnival in 2013 because Campo y Sabor was invited to play there on Monday, Jan 7. This day of the carnival is dedicated to the farmers and the indigenous population of the the region. 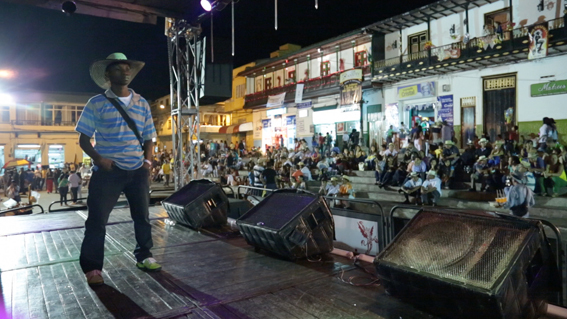 The two concerts Campo y Sabor was playing were a real success. People just love the humor and the joy the songs do deliver. And the farmers day certainly was the right moment to present their songs about the Papaya, Maize, Yuca, and all the other fruits and vegetables they do sing about. (León Octavio was just a bit unhappy that they didn´t bring more CDs as they were already sold out after the first afternoon show). 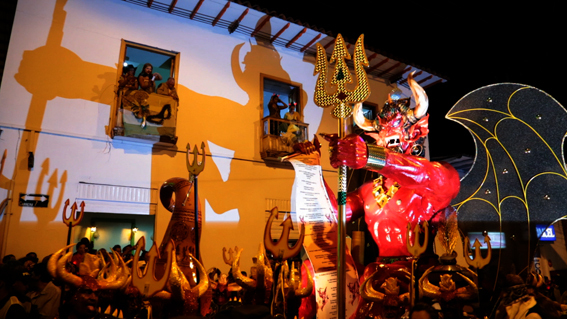 But the first big spectacle already happened Saturday night: the arrival of the devil. The little town was packed with people and it´s been a phantastic atmosphere when the devil was coming uphill into town. 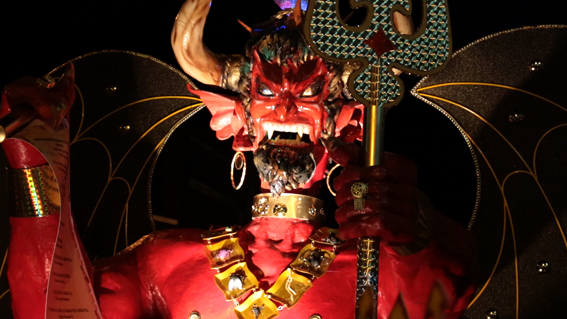 On Wednesday night the carnival came to an end and the devil was burned at the big plaza. We already had to leave on Tuesday as the members of Campo y Sabor are farmers and they had to get back to work. To watch all the pictures please click here or visit Photos/Carnaval del Diablo in Riosucio on the Menu bar.